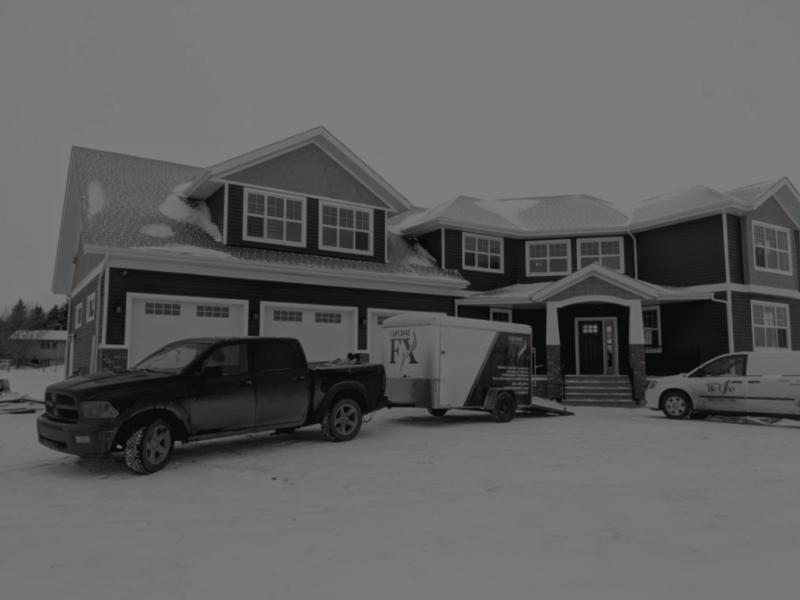 We are the #1 growing duct cleaning and furnace cleaning company in Red Deer and Edmonton. We offer top quality duct cleaning at an affordable price for homeowners and businesses. Our team has over 15 years of construction experience and is reliable, honest, & forward thinking. Our advanced duct cleaning machines scrub away dirt and grime from your home's systems by agitating the debris and using high powered vacuums to collect agitated dust. Unlike older methods of duct cleaning, Ozone-FX’s Roto-brush technology allows our duct & furnace cleaners to remove hardened dirt built up over years without damaging or cutting holes into your duct system. Ozone-FX also offers Ozone Shock Treatment which removes harsh odours permanently from your home without the use of chemicals or cleaners. If you are looking around for the best duct and furnace cleaning company, give Ozone-FX a call or request a quote online. Our advanced duct cleaning technology removes up to 99% or dirt & pollutants from your home's heating & cooling systems. Our technicians remove stubborn dirt and restore the efficiency of your furnace with our furnace cleaning service. Cool your home efficiently and improve your homes energy efficiency with an air conditioner cleaning. Clean your homes HRV unit and restore efficiency and reduce heating and cooling cost with an HRV cleaning. Remove lint build up, improve drying speed, protect your clothes, and significantly reduce your risk of a fire in your dryer vent. 70% of homes today have polluted air. Get your home tested for toxins, mold, and pollutants to discover how healthy your homes air is. We provide quality service to new home builders, restaurants, commercial property managers, rental property management companies & more. Keep your customers, tenants, and staff happy & healthy. Contact for a free quote. Please let us know the size of your home, how many ducts you have, and your preferred date and time. We remove harmful pollutants and toxins from your home's air so you can breathe clearly and happily! Reduce the risk of a house fire in your vents by removing the buildup of dust, lint, and other debris from your duct systems. Reduce your monthly energy consumption so your heating & cooling systems can operate more efficiently. Minimize the risk of a costly breakdown or issue with your homes heating and cooling equipment. Awesome group of guys with exceptional service. Super quick too and friendly. I've already recommended them to other business owners in Red Deer and many friends. Super professional and great customer service. Showed up on time and did an absolutely great job. Will be recommending them to all my friends and family. Great work, completed our 4 houses within the week and worked with us and our renters. Very positive experience. For residential customers, we charge $299 +Gst. This includes up to 2000 square ft homes and up to 13 vents with our advances roto-brush technology which provides an exceptional level of clean. There may be additional charges for particular vents and/or depending on your location. We also offer thermal imaging for free if you are concerned about your ducts functions. Get in touch with our team for an accurate estimate which is always FREE! Cleaning should be done at least every 2 years however, it does depend on several factors. Some of the things that may lead a homeowner to consider more frequent cleaning include: -Smokers in the household -Pets that shed high amounts of hair and dander -Water contamination or damage to the home or HVAC system -Residents with allergies or asthma who might benefit from a --Reduction in the amount of indoor air pollutants in the home’s HVAC system -After home renovations or remodeling -Prior to occupancy of a new home. Are there any health benefits from cleaning my ducts?